Yet with Section 215’s lifespan now stretching to a matter of weeks, supporters of broad surveillance powers have yet to put forth a bill for their preservation – evidence, opponents believe, that the votes for reauthorization do not exist, particularly not in the House of Representatives. More likely, according to a multiple Hill sources, is a different option under consideration: making the major NSA reform bill of the last Congress the point of departure for reauthorizing 215 in the current one. The bill would not abridge NSA collection of Americans’ international communications, nor prevent the NSA or the FBI from warrantlessly searching through its troves of them for Americans’ identifying information. Nor would it restrict a constellation of surveillance efforts authorized by a Reagan-era executive order. Even a recently disclosed bulk domestic phone records collection dragnet by the Drug Enforcement Agency would be untouched. “We should be demanding more reforms than the intelligence agencies are gladly willing to offer us,” said David Segal of the activist group Demand Progress. June 1, 2015 is a very important day for American civil liberties and the Constitution. On that day, Section 215 of the Patriot Act, one of the most egregious pieces of legislation passed in U.S. history, will expire automatically without reauthorization from Congress. Naturally, this is causing a panic attack within the heart of the NSA, FBI and all the authoritarian lackey legislators in Washington D.C. With the chances of a clean reauthorization next to none, these crafty “representatives” and their puppeteers need to figure out a way to sneak it into another piece of legislation. What better way to do this than making it a part of something that ostensibly appears to be reining in surveillance powers. Enter the USA Freedom Act. Rep. Amash is 34 years old and was first elected to Congress in 2010. He has been on my radar screen for several years now as one of the few elected representatives who act more like statesmen than politicians. He has been on the right side of many civil liberties related issues, including his opposition to the NDAA’s provision that allows for the indefinite detention of American citizens without a trial. More recently, last summer he authored an anti-NSA amendment known as the “Amash Amendment,” which was defeated by establishment authoritarians in both political parties. I covered that story in my post: NSA Holds “Top Secret” Meeting to Stop Powerful Anti-Spying Amendment. Being the fighter that he is, Amash regrouped and came back with an anti-NSA spying bill with some teeth to it: The USA Freedom Act. This bill concerned the establishment to such a degree that Senator Feinstein launched her own competing bill, which believe it or not, intended to codify the NSA’s unconstitutional practices into law. In the end, what the status quo did was water down the once robust USA Freedom Act into oblivion. Well the USA Freedom Act is back, and it appears to be the vehicle being used to reauthorize Section 215 of the Patriot Act. This story is extremely important, and serves as a great example of how tricky it can be to know what’s actually going on. I spend nearly 100% of my time trying to stay informed about the world around me, yet I’m constantly surprised by how little I know. For people who don’t have the time or energy to try to stay informed, forget about it. The media is generally worthless, and will more often than not mislead you, even if it’s unintentional. To prove my point, I will highlight two separate articles on the latest version of the USA Freedom Act. Let’s start with the National Journalarticle titled, Congress to Introduce Last-Ditch Bill to Reform NSA Spying. The caption underneath the main title states: With the clock winding down, lawmakers in both chambers are staging one last attempt to rein in the government’s surveillance powers. April 17, 2015 Backed up against a rapidly approaching do-or-die deadline, bipartisan lawmakers are poised to introduce legislation next week that would roll back the National Security Agency’s expansive surveillance powers. The legislation could land as soon as Tuesday in the House, congressional aides and privacy advocates said, who would only speak on condition of anonymity because of the sensitivity of the negotiations. The bill, known as the USA Freedom Act, would effectively end the NSA’s bulk collection of U.S. phone metadata—the numbers, time stamps, and duration of a call but not its actual content—by instead relying on phone companies to retain that data. The program is the first and one of the most controversial spying programs exposed by the Edward Snowden leaks that began nearly two years ago. Whatever the strategy, lawmakers in both chambers need to move quickly, since the bill’s introduction arrives as the window of opportunity for reforming the nation’s surveillance activities is rapidly closing. Core provisions of the post-9/11 Patriot Act are due to sunset on June 1, including the controversial Section 215, which the NSA uses to authorize its dragnet surveillance of Americans’ call data. The Freedom Act would reauthorize these authorities, preserving expiring capabilities the intelligence community has said are vital to national security while ushering in more strident privacy protections and transparency requirements. The above paragraph is very misleading. The deadline in play here is to ensure that the Patriot Act provisions are reauthorized, not for reforming surveillance. What a bizarre way to frame this. Despite the obstacles, aides close to negotiations believe they have enough momentum to push the legislation through Congress fast enough for the president to sign it by June 1. The White House said last year it was supportive of the reform package. This is the first hint something might be up. If Obama likes it, it’s bound to be either useless or tyrannical. A version of the Freedom Act passed the House last spring 303-121 before a more comprehensive package died in the lame-duck Senate, falling just two vote shorts of the filibuster-proof 60 needed to advance. All but four Republicans rallied to block the measure due to fears it could bolster terrorist activity, despite wide-ranging support from tech companies, privacy advocates, the White House, and even senior members of the intelligence community. Once again, this is very misleading, if not downright false. Yes a few Republicans blocked it for those reasons, but Rand Paul refused to support it because it didn’t go far enough. The fact that this isn’t mentioned is extremely irresponsible. The defeat was seen as a crushing blow to the post-Snowden movement to overhaul the nation’s sweeping surveillance apparatus—a sting made worse by the GOP takeover of the Senate. This is 100% not true. Many civil liberties advocates thought the final bill was so watered down as to become worthless. Recall that earlier I noted how one of the original cosponsors, Justin Amash, couldn’t support the final bill because it was so weak. But instead of giving up, lawmakers began a new process earlier this year, believing they had one last shot at enacting strong reforms before the Patriot Act sunset. Sources said the new language is closer to last year’s Senate version than one that passed the House, which suffered a loss of support from privacy and tech interests due to amendments made by House leadership in the 11th hour. One privacy advocate used a scale of 1 to 100 to indicate how strong the bill is on civil liberties. “If the House-passed version was a 60, and the Senate cloture was 80, this is a 73 or 74,” the advocate said. Still, the measure faces several significant hurdles in both chambers before it can get to the president’s desk. House Majority Whip Kevin McCarthy said in a memorandum to members earlier this month that the chamber “may” consider the Patriot Act reauthorization this month, without providing more specifics. But earlier this year, House Speaker John Boehner went out of his way to defend the surveillance program, saying it helped thwart a recent plot to blow up the U.S. Capitol. Yes, John Boehner claimed it thwarted a terrorist attack. What he failed to mention was that this terrorist attack was actually an attack dreamed up by the FBI itself. They didn’t stop anything from happening that they didn’t manufacture in the first place. See: Manufactured Terrorism – U.S. Officials Claim Credit for Stopping Another Terror Attack Created by the FBI. If the only article you read on the latest version of the USA Freedom Act was this National Journal article, I couldn’t blame you for thinking that it was a valiant piece of legislation put forth by civil liberties activists fighting to rein in the NSA. Unfortunately, the truth seems to be closer to the USA Freedom Act being used as a vehicle by which to reauthorize Section 215 of the Patriot Act. Considering the fact that the NSA, FBI and White House all seem to be lobbying for it, it’s probably a very bad piece of legislation. With about 45 days remaining before a major post-9/11 surveillance authorization expires, representatives of the National Security Agency and the FBI are taking to Capitol Hill to convince legislators to preserve their sweeping spy powers. That effort effectively re-inaugurates a surveillance debate in Congress that has spent much of 2015 behind closed doors. Within days, congressional sources tell the Guardian, the premiere NSA reform bill of the last Congress, known as the USA Freedom Act, is set for reintroduction – and this time, some former supporters fear the latest version of the bill will squander an opportunity for even broader surveillance reform. The classified briefings come amid an unsettled surveillance debate in Congress that rushes up against an unforgiving deadline. On 1 June, Section 215 of the Patriot Act, which permits US law enforcement and surveillance agencies to collect business records, expires. Section 215 is the authority claimed by the NSA since 2006 for its ongoing daily bulk collection of US phone records revealed by the Guardian in 2013 thanks to leaks from whistleblower Edward Snowden. While the Obama administration and US intelligence agencies last year supported divesting the NSA of its domestic phone metadata collection, a bill to do so failed in November. Again, any bill supported by Obama and the intelligence agencies is guaranteed to be worthless. 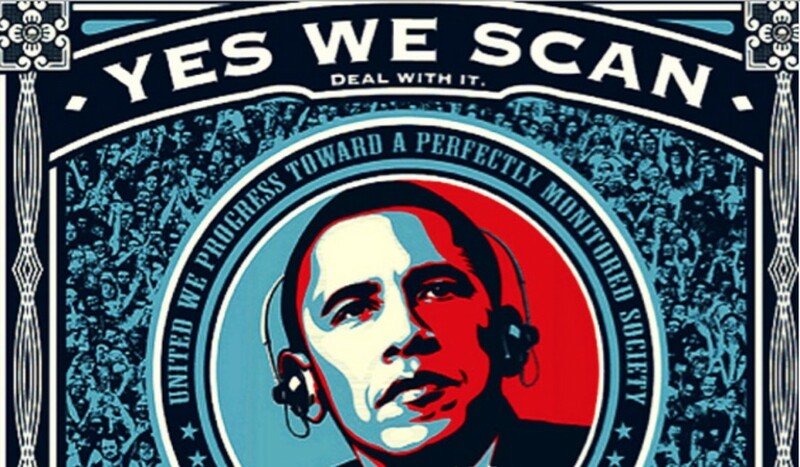 It would be more appropriately named the NSA Freedom Act. While the briefings were not described as a platform for defending the controversial Section 215, they “offer an important opportunity to hear directly from analysts and operators who use Section 215 as part of their daily mission to protect the Nation from terrorist attacks,” according to an announcement for legislators sent by intelligence committee chairman Devin Nunes and Georgia Republican Lynn Westmoreland and obtained by the Guardian. Civil-libertarian members who attended left unsatisfied. “Our questions about constitutionality and legality were answered with statements of efficacy. We said, ‘How can this possibly be legal?’ and they would say, ‘this program works great, here’s how it’s helping us catch terrorists,’” Representative Thomas Massie, a Kentucky Republican, told the Guardian. They don’t know how to pass reauthorization, so they are trying to sneak it in. Advocates of the bill in both congressional chambers, including its original architects, have been laboring for eight weeks in marathon negotiations to revive the USA Freedom Act. The revived bill would extend the expiring provisions of the Patriot Act for a still-undetermined number of years – essentially staking out the center of the 2015-era surveillance debate for a bill that would take NSA out of the domestic bulk-collection business. On the other hand, a real NSA reform bill has been introduced into Congress, see: Meet the “Surveillance State Repeal Act” – A Bipartisan Bill to Fully Repeal the Patriot Act. Yet, this one has almost no chance of passing. Why? Because it’s the real deal.